Heat oven to 425°F. Unroll crust on work surface. Roll crust out slightly; cut into 4 (5-inch) rounds. Place rounds on parchment lined cookie sheet. In medium bowl, mix sugar and cinnamon; toss apple slices into sugar mixture. Divide apple slices evenly onto center of each pie crust round. Fold 1/2-inch of crust over filling, pinching slightly so that crust lays flat on apples. Bake 18 to 20 minutes or until crust is golden brown and apples are tender. 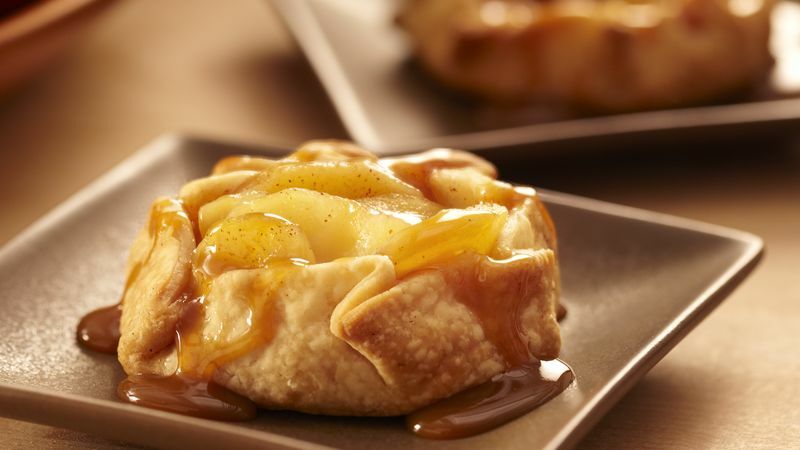 Drizzle 2 teaspoons caramel topping over each crostata. If desired, serve warm with ice cream.